Product prices and availability are accurate as of 2019-04-23 08:00:26 UTC and are subject to change. Any price and availability information displayed on http://www.amazon.com/ at the time of purchase will apply to the purchase of this product. 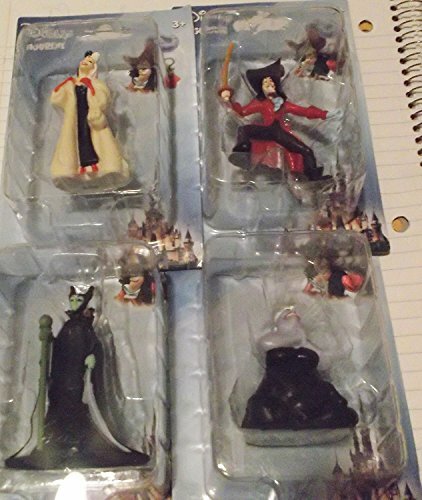 Set of 4 Disney figurines - animated movie Villains. 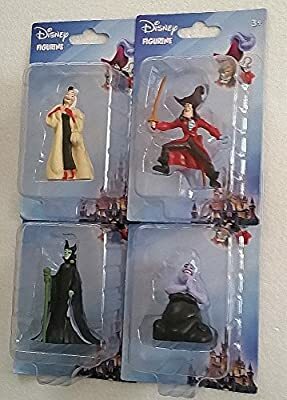 Featuring Ursula from Little Mermaid, Maleficient from Sleeping Beauty, Captain Hook from Peter Pan and Cruella de Vil from 101 Dalmations. Figures range from 2 to 2 1/2 INCHES tall. Intended for ages 3 and up. 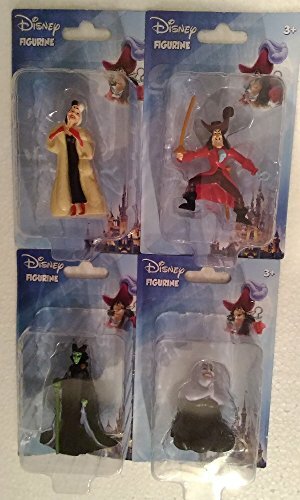 But perfect for any Disney collector. Could also be used as cupcake or cake toppers.